is an archaeological history from its origins to today. English Heritage wanted accuracy and the publishers readability so each chapter ends in the relevant topic in greater detail. The text is divided by sub-headings which allows the casual reader or visitor to dip in and out. This Second Edition was updated to 2002 during the Big Digs in the bombed south-eastern quarter and continues to sell, combining as it does archaeology, history, buildings and people in the space between specialist studies academic works and the picture guide book. 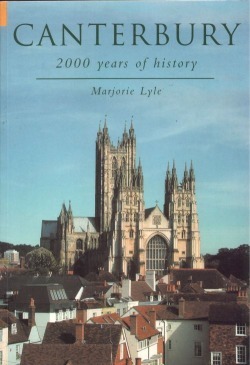 This is the city's story told through its buildings and includes the three parts of the World Heritage Site - St Martin's Church, St Augustine's Abbey and the Cathedral and Precincts. The other three quarters of the city include walking maps and the suburbs include the two universities. 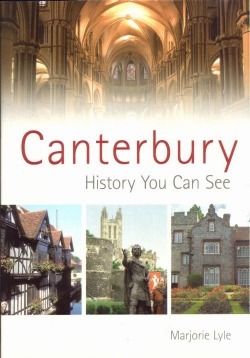 The book contains surprising stories about the buildings, traders, craftsmen, saints and sinners who created and adapted the Canterbury we see today. Tourists and residents should find it an entertaining read rather than a textbook history. 100 black and white photographs, 12 pages and eight pages of colour plates are an added bonus.